Posted On December 23, 2015 by Team iCynosure. You never know when an idea might strike you, which is why notebooks are a great thing to have at hand. It helps, of course, that the kind of books and organisers available today are beautifully made, with thick paper and elegant covers. If reading this is making your heart beat a little faster, then you’re probably a stationery addict. Enabling addictions is usually not a good thing, but an obsession with stationery is hardly dangerous. 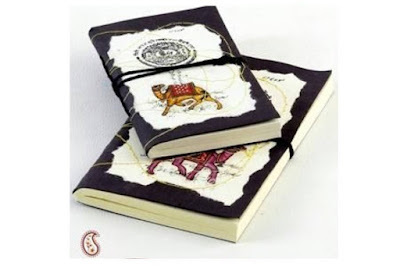 So if you’re online shopping in India from sites like Rediff.Com, you should take a look at these gorgeous notebooks that are available. Indulge yourself! This gorgeous set consists of two notebooks that are softbound and beautifully made. The outer covers are printed with images of camels and traditional batik print motifs on a pale grey background with an uneven black frame. Adding to their charm is the thread woven onto the covers, which makes them look quite rustic. The leaves inside are made of cream handmade paper and are the perfect canvas for all your scribbles-big and small. Every stationery obsessed person knows a notebook collection is not complete without a spiral bound notebook, especially as simple as this one! Made with recycled paper, this notebook is a cure to all your guilt about paper usage. 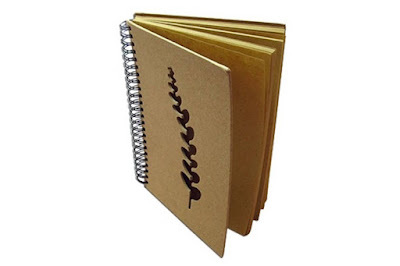 You can save the trees and add to your collection at the same time with this cream spiral bound. If the recycled paper isn’t immediately obvious, the cut-out leaf design on the cover should be evidence enough of your love for nature. Bored? Add a little colour to your day with this vibrant notebook. 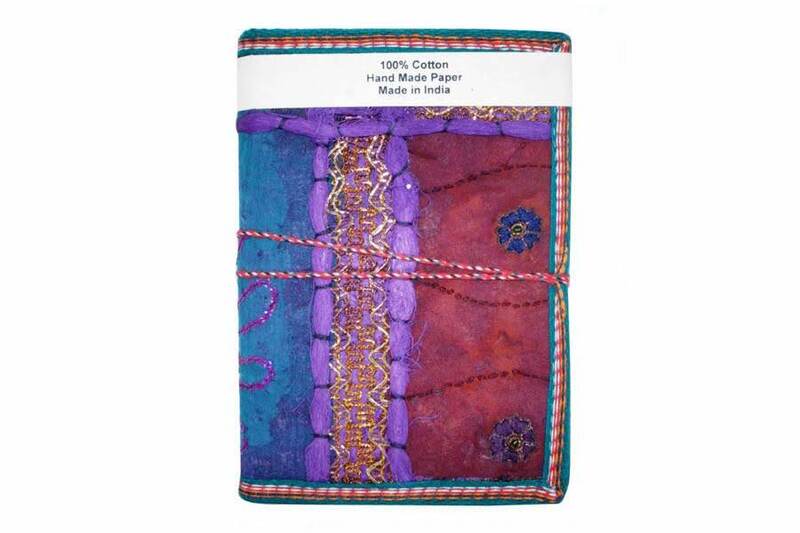 The cover is made of pure cotton cloth patchwork to give you this bright notebook which is sure to lift your spirits every time you look at it. The paper is recycled and all the fibres and dyes used are organic, which makes them biodegradable. A notebook that is a 100% recyclable and looks this good? Sold. Sometimes you just need a classy, plain notebook. 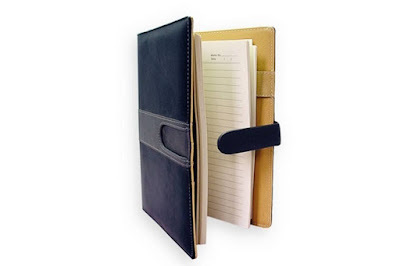 This one has an artificial leather cover that makes it look sleek and elegant. This is a notebook that guarantees your productivity with its ruled sheets and inner sleeve to hold any important papers or cards. The leaves are ruled and dated, so you can make sure all your notes are neatly organised. Hold it all together with the magnetic clasp that keeps your notebook closed. 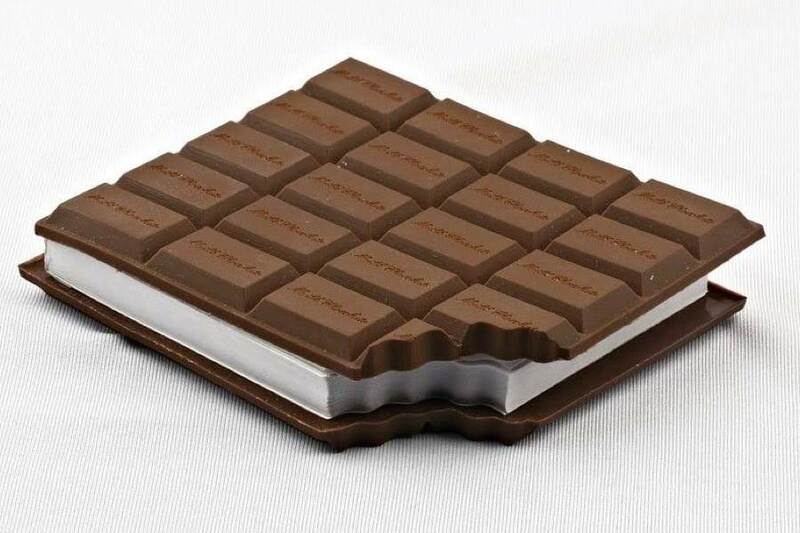 This tasty looking chocolate notebook is not edible but definitely smells like it. The cover is made of plastic, which makes it sturdy enough for you to carry around just about anywhere. What makes this even more portable is how compact it is. Just slip it into your bag and use it for those ideas that must be jotted down before they slip away. For the days when you feel like royalty, this tanned notebook with a peacock embossed on its cover is the natural choice. Nothing says functional luxury like leather, especially when it’s got such fine detail embossed on it. As a bonus, this notebook is handcrafted, so you can be certain that it will be a unique piece of work. The leaves are made of cotton rag handmade paper, and the closure is a C-lock, so you can be certain that all your thoughts will remain private. So, what are you waiting for? 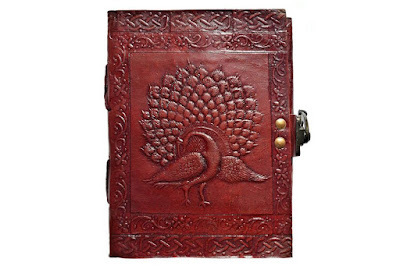 Add to your notebook collection by visiting Rediff.Com today!